When trying to build a website, search engine optimization (SEO) is essential if you want to hit the ﬁrst few pages of search engine results. Although the requirements for the ﬁrst page have changed slightly in recent years, keywords will always be an integral part of the process which makes it a great place to start. Today, we have three superb niche keyword research strategies that will help get you up and running. Despite popular belief, not every single keyword will help you with your aim so you need to target your niche speciﬁcally to attract the right people. When you use the wrong keywords, you have the wrong audience reaching your site; increasing your visitors means nothing if they have no interest in your end product. Therefore, there should be an emphasis on the keywords that beneﬁt you the most and have the best chance at increasing your conversion rate. If we use an auto parts online store as an example, some keywords will be geared (excuse the pun) towards people just looking for information. Instead, you should be targeting those looking for ‘good deals’ or ‘cheap car parts’ because they are actively looking for a place to spend money. Once you nail this strategy down, you will have the right people coming to your website which should lead to increased sales. With keywords, there is often a sweet spot that you need to ﬁnd between effectiveness and competition. When you choose the most effective words and phrases, you will normally ﬁnd that they are also the most competitive which almost renders them useless because there are just too many sites using the keyword. Therefore, the best strategy comes from ﬁnding keywords that are still effective but have less competition. Rather than using one keyword and struggling to get near the front pages, you can target ten smaller ones and see much better results. When you choose the right battles, you are in a greater position to see success. 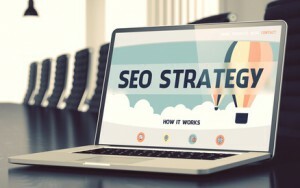 When ﬁrst attempting SEO to boost your ranking, it will be tempting to ﬁnd one or two keywords that ﬁt the criteria listed above and then leave it there. However, you should be looking to ﬁnd as many as possible. After ﬁnding one, two, three, four, and more, keep going because this will give you the best chance of rising up the rankings and getting seen. When people search for your niche online, they aren't all going to be typing the same phrases into Google so you need to make it easy for every single person to ﬁnd your site regardless of what they search. After developing a successful niche keyword research strategy, you should never stop just because ‘it is working’. Don’t forget, your competitors will be doing exactly what you did to try and get above you. With this in mind, you should be continually ﬁnding new keywords that can be utilized to not only get you to the top but then keep you there for a long time after. As soon as you do this, you have developed a strategy that is sustainable for the future. There we have it, three important tips for developing a niche keyword research strategy. Although the market is ﬁercely competitive nowadays, there is no reason why you can’t reach strong rankings if you pay attention to the tips above! You might also benefit from reading my post; How to use keywords in a blog post.